We provide location mold inspection and testing services through a team of local mold inspectors at Enzcycle Labs. Enzycle Labs is a laboratory that focuses on the development of Enzyme-based products and also specializes in mold inspection and testing. A thorough inspection includes observation of the property grounds, building exterior, crawl space, attic and interiors. 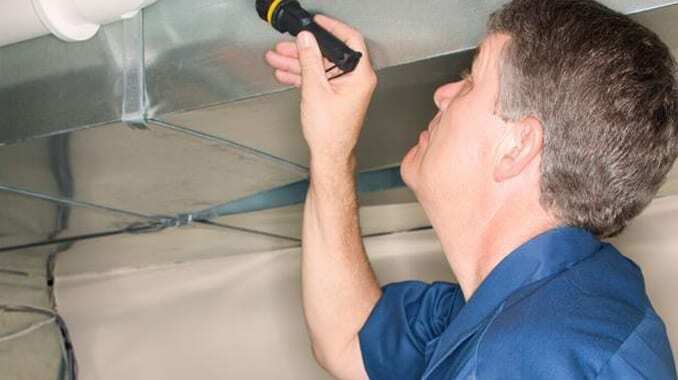 To be sure of a thorough inspection, we check the property to seek out the cause of active growth. As mold needs a combination of oxygen, food and moisture to grow, and since it can eat almost any surface, moisture is usually what triggers the growth. During the inspection, the inspectors seek out the cause of this excessive moisture and identify any active growth & sample potential infected areas. Inspections, testing and remediation are all completely confidential. Our inspectors will arrive in unmarked cars as we do realize that having mold in your home is not something that you would like for your neighbors to know. For added safety, American Mold Experts will send you an appointment reminder with a photo of the inspector who will arrive at your home. Once the inspection is finished, then a comprehensive report is sent to American Mold Experts. After the report is sent, we will assign an advisor that will make any suggestions on how to deal with the moisture issue and the infected area(s). Fill out the form above for an inspection consultation today. When it is not visible, but symptoms are present. Here is a list of mold growth symptoms. Flood, standing water or leak that has lasted for more than 48 hours. When you, or a family member, feels sick whenever at home. Symptoms include allergy like symptoms, nausea, asthma, headaches, coughing, sneezing, etc. At American Mold Experts, we offer mildew and mold testing, also known as a mold assessment, for both residential and commercial properties. Mold testing helps determine whether a substance truly is mold and what type it is. Testing also determines the indoor air quality. Each sample taken follows a chain of custody through Enzycle Lab. We compare the results from the test to the base standards to determine the saturation level affecting the air. An advisor then provides a full report with professional recommendations. The turn-around time for these test results and recommendations is typically 24 to 48 hours. Mold testing services are not always a requirement; for example, If you have already made the decision to get a mold remediation, we may not require a pre-test. However, we usually perform a post-remediation test 72 hours after the remediation to be sure that we thoroughly resolve all issues. This process makes sure that the remediation process has been done thoroughly. We include this post-remediation test on full warranty jobs. American Mold Experts usually samples the indoor air, which is also known as air sampling. This air quality testing for mold tells what the level of airborne fungi is in the indoor environment. A non-contaminated building should have about the same amount of fungi present in the air as the surrounding outdoor environment. Tape swab testing uses a cotton material swab to wipe the surface to be tested. After touching one to three surfaces in the same location, the swab is sent to a lab for examination. Swab tests are generally used to detect and determine what type is present; however, this test does not typically identify spore count. Tape slide tests are similar to swab test. A piece of tape placed onto area to be tested, lifted, and placed onto glass microslide. The tape slide is then sealed and sent to the microbiology lab for examination. If your city is not listed, feel free to give us a call to see if we provide mold inspection and testing services your area! Contact us today if mold inspection and testing is needed in your home or business.